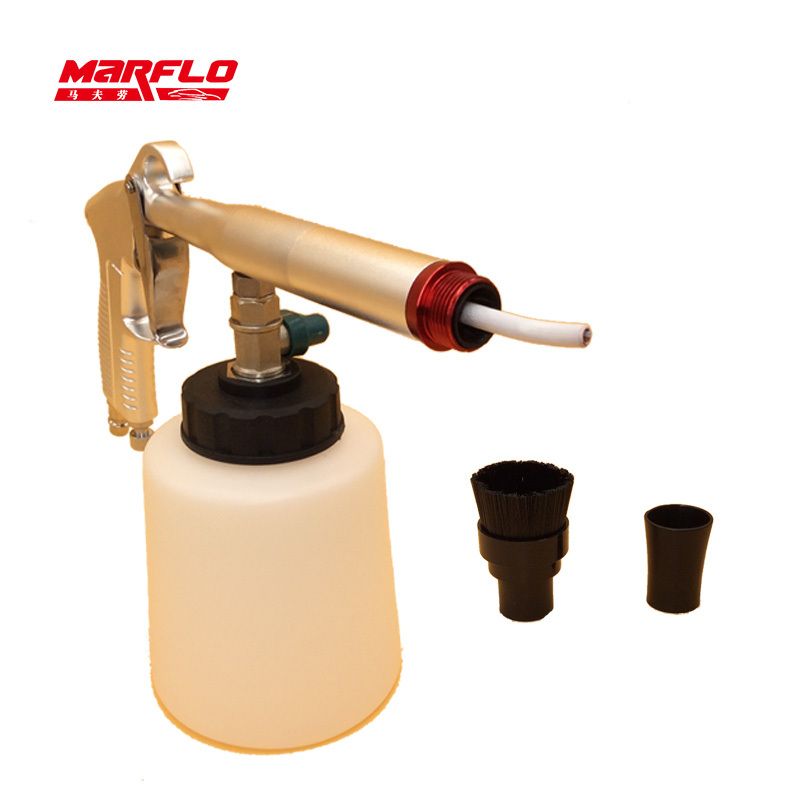 The Tornador MARFLO Interior Cleaning Tool is a pneumatically operated suction spray gun which very finely atomizes soap, water and air and dispenses it under high pressure. It removes dirt and grime quickly and uses lower consumption of the cleaning product (Tornador Super Soap). The newly developed rotation-set in the nozzle of the new Tornador MARFLO is more powerful and cleans faster than the original Tornador Interior Cleaning Tool. There is No wear of rotary hose and funnel as the medium guide is ball-bearing and does not come into contact with the nozzle. 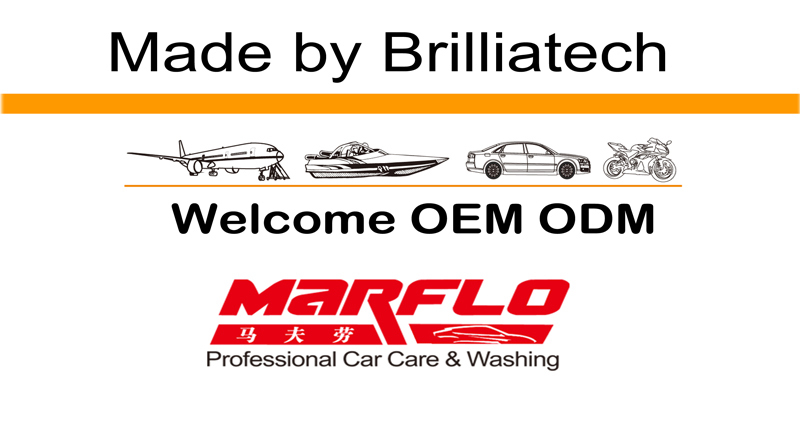 For professional car detailing companies the new Tornador MARFLO is a must-have! You will save time, energy and cleaning chemicals, because the new Tornador MARFLO works more powerful and more efficient on less air-pressure than the original Tornador. 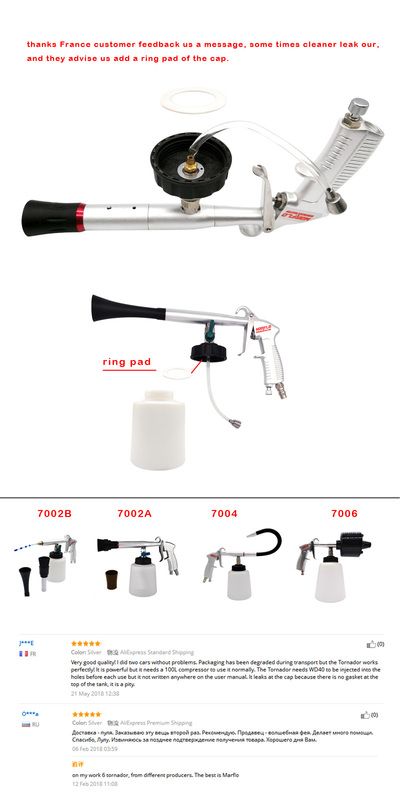 The compressed-air driven suction feed gun rotates spirally during operation and loosens dust particles with extremely high power from the surface. Makes cleaning an interior a cinch! 1) the body of tornador is different!! MARFLO is alloy forge process, and wor with high precision CNC Machine. 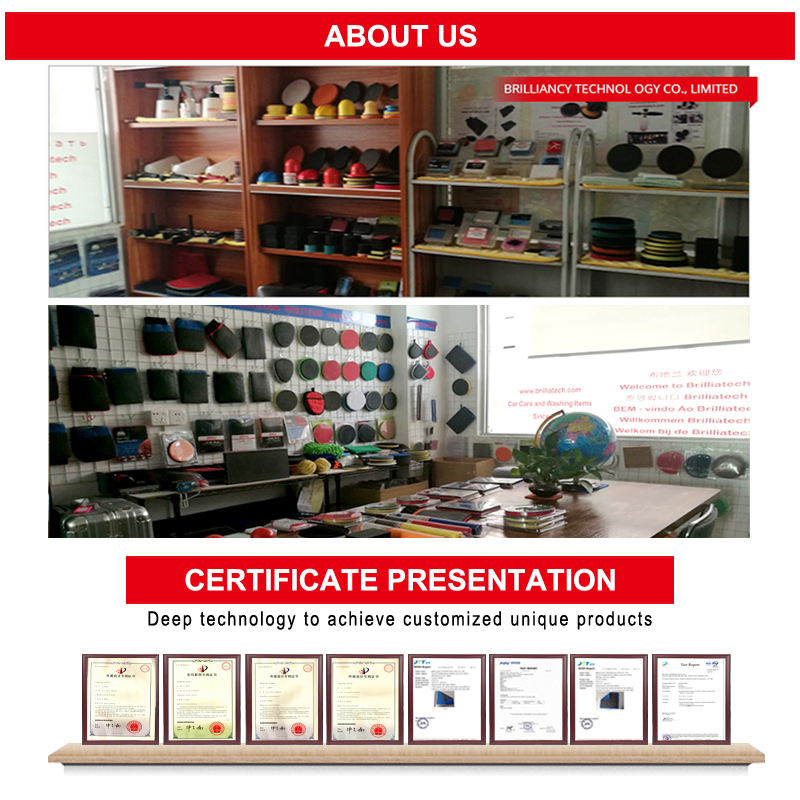 the forge body harder than casting alloy body, and Thread is not easy to break. 2）Bearring tube: it is key part of Tornador. high qaulity bearring: we use Japan Bearring of tube. 3) the tube of Bearring: use high qaulity material and patend teachnology. and control of detail in production process. 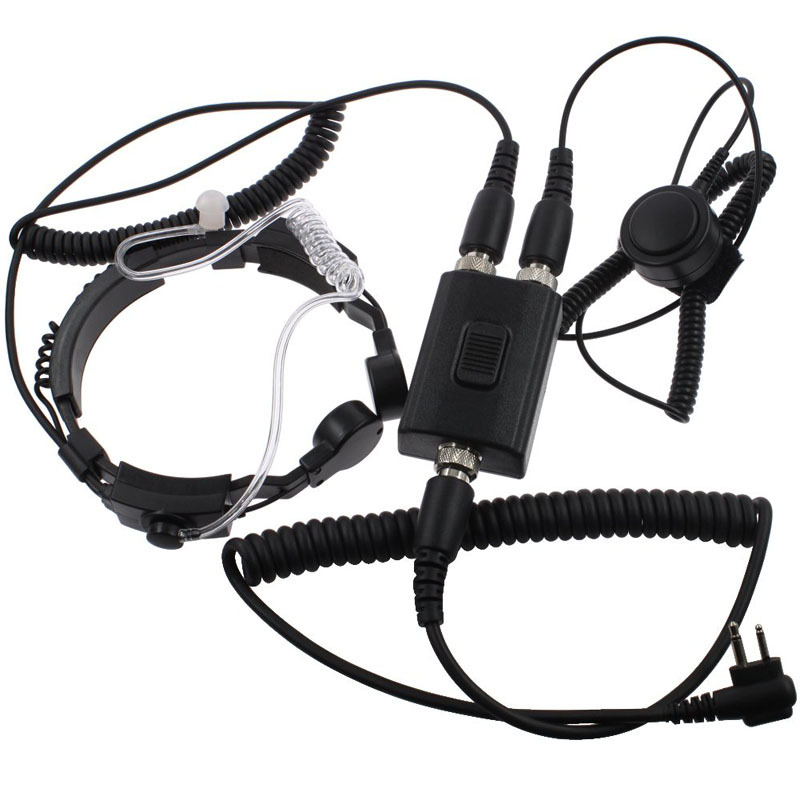 every key part have a check piont in production process. 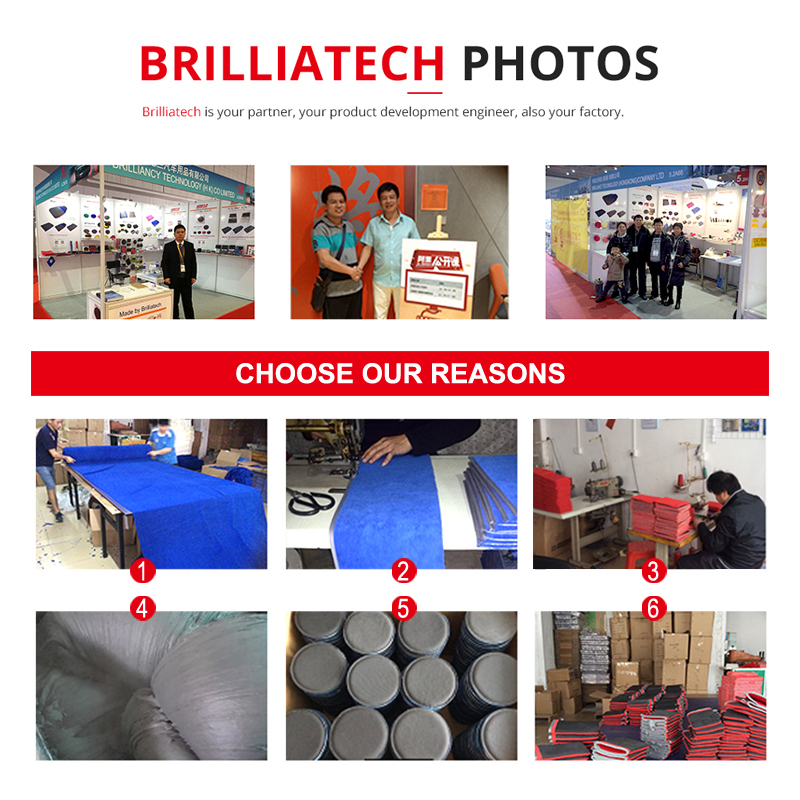 Use for: automotive leather, roof, velvet, rubber, plastics, glass, seat belt, various cracks, furniture and blankets. TORNADOR MARFLO Car Cleaning Tools are the fastest and easiest way to clean all automotive surfaces. The TORNADOR MARFLO works with your air compressor to blast cleaning solution into crevices you can’t reach by hand. Clean carpet, plastics, and upholstery inside the car. Clean wheels, convertible tops, and body seams on the exterior. 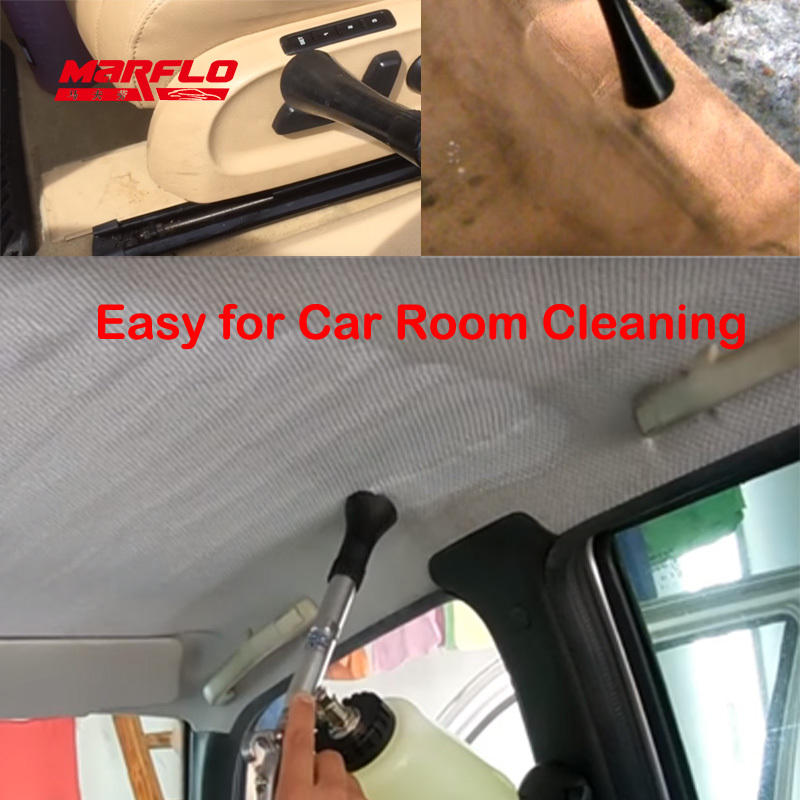 The TORNADOR MARFLO Car Cleaning Tool cleans where other tools can’t! The TORNADOR MARFLO Car Cleaning Tool tackles your most challenging detailing jobs with ease. The cone-shaped nozzle and oscillating tip create a tornado cleaning action that cleans hard and soft surfaces like nothing you’ve seen before. Dirt and grime are immediately released from fabrics, carpet, and solid surfaces. The TORNADOR MARFLO Car Cleaning Tool releases a fine mist of cleaning solution that does not over saturate surfaces. You’ll see the liquid turning dirty as grime is released from the surface. Wipe with a microfiber towel. Then turn the dial to shut off the water and use the compressed air to dry the cleaned area. It’s that simple. 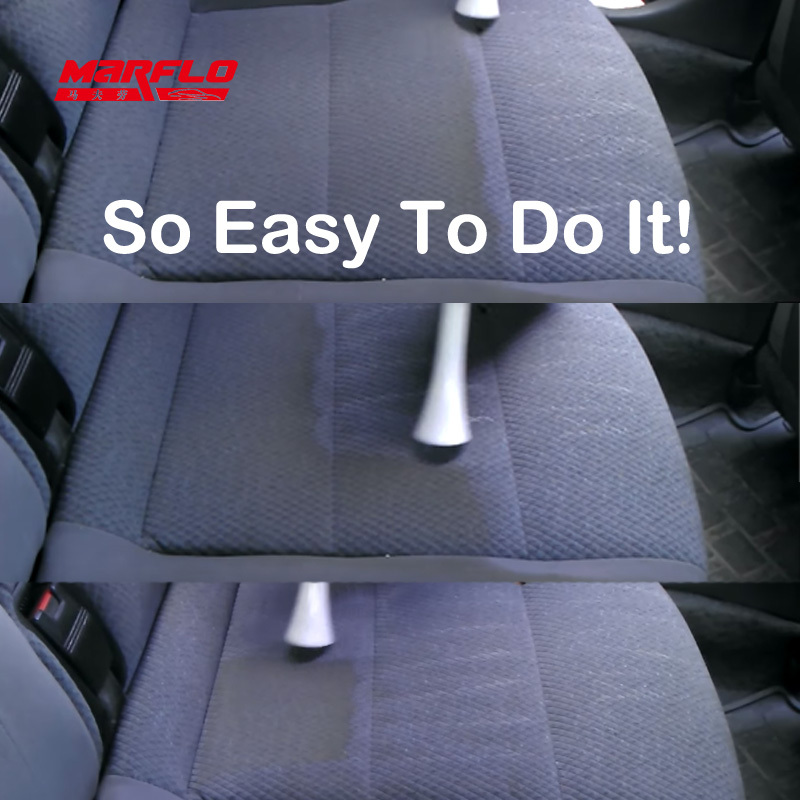 Use the TORNADOR MARFLO Car Cleaning Tool on the dashboard, door panels, steering wheel, fabric upholstery, carpet, floor mats, and between seats. The TORNADOR MARFLO cleans in tough-to-reach places between seats and in seams. Because it releases so little liquid, surfaces dry quickly. On the exterior, use the TORNADOR MARFLO Car Cleaning Tool to clean fabric convertible tops, body seams, wheels, and emblems. There’s no need to scrub. The TORNADOR MARFLO does the hard work for you. 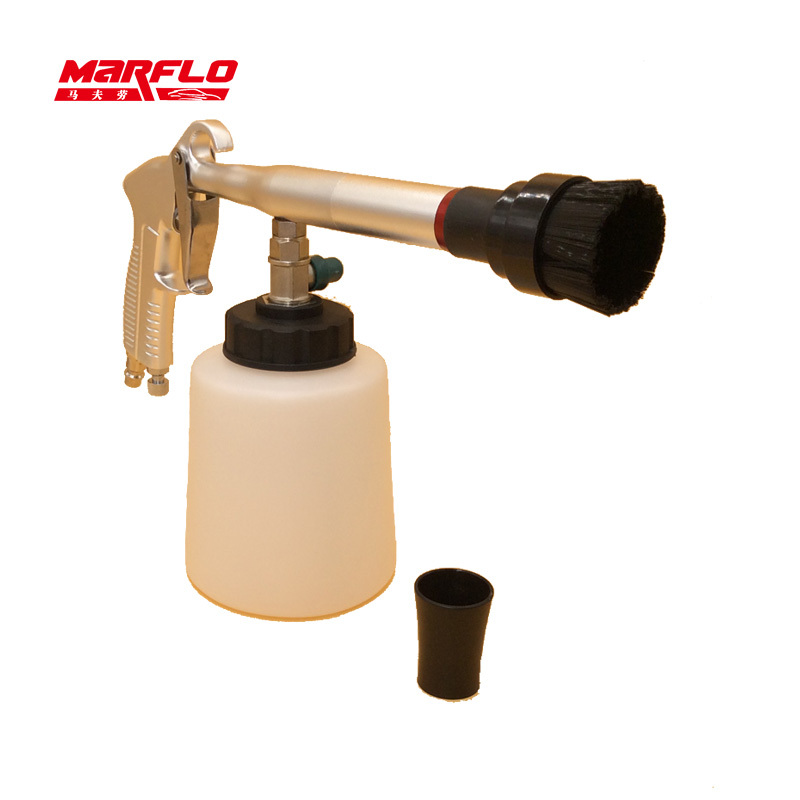 The TORNADOR MARFLO Car Cleaning Tool must be used with an air compressor capable of producing a constant air pressure of at least 60 psi. Do not to exceed 110 psi in order to protect your TORNADOR MARFLO from unnecessary wear. Use the green valve to control the amount of liquid released by the TORNADOR MARFLO. To clean any surface, dilute the desired cleaner according to label’s directions. Turn the liquid valve straight up and use an overlapping motion as you pass the TORNADOR MARFLO Car Cleaning Tool over the surface. If necessary, allow the cleaning liquid to dwell for 10-15 seconds. Use a microfiber towel to absorb excess liquid. Then turn the liquid valve off and use the compressed air to dry the cleaned area. Cleaning with the TORNADOR MARFLO Car Cleaning Tool is easier and faster than small detailing brushes or swabs. Just spray and watch the dirt release from plastics, rubber, vinyl, and fabrics. 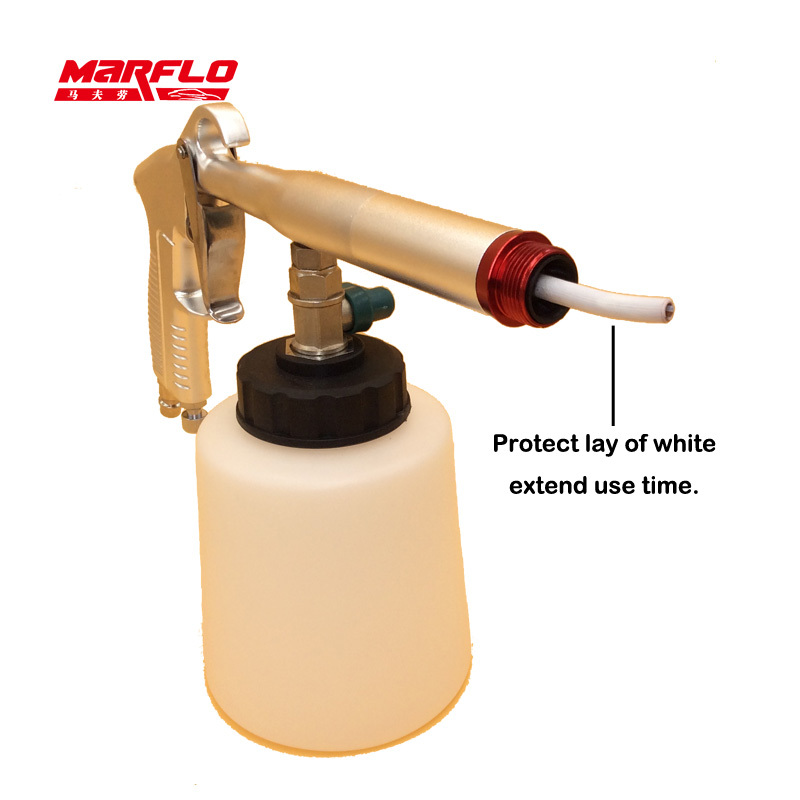 The TORNADOR MARFLO Car Cleaning Tool includes the gun itself with the 32 oz. jar and an extra cap for the jar. 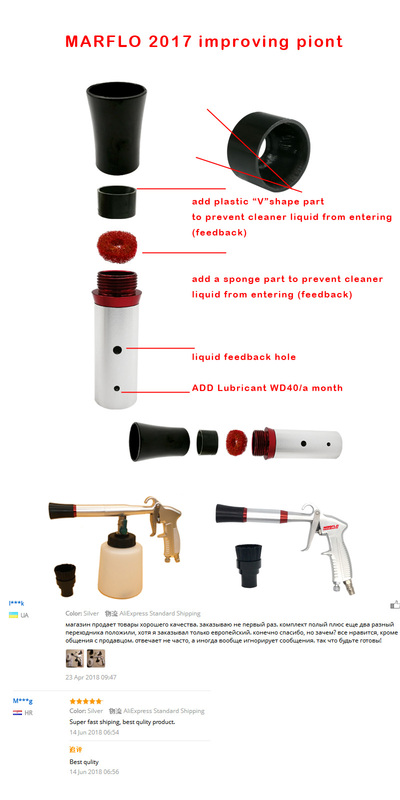 The TORNADOR MARFLO Car Cleaning Tool is one of a kind. Clean and dry all hard-to-reach areas with the cyclonic cleaning power of the TORNADOR MARFLO!